Stop using lots of tools. Keep things simple – stay in Gmail. You already know Gmail. Now, you can turn it into a workspace for the important things in your day from managing customers to paying invoices. Manage emails, tasks, customers, marketing and invoices. Emails come and go, sometimes it’s hard to keep track. Keep your inbox organized on Drag boards. It’s really as simple as that. 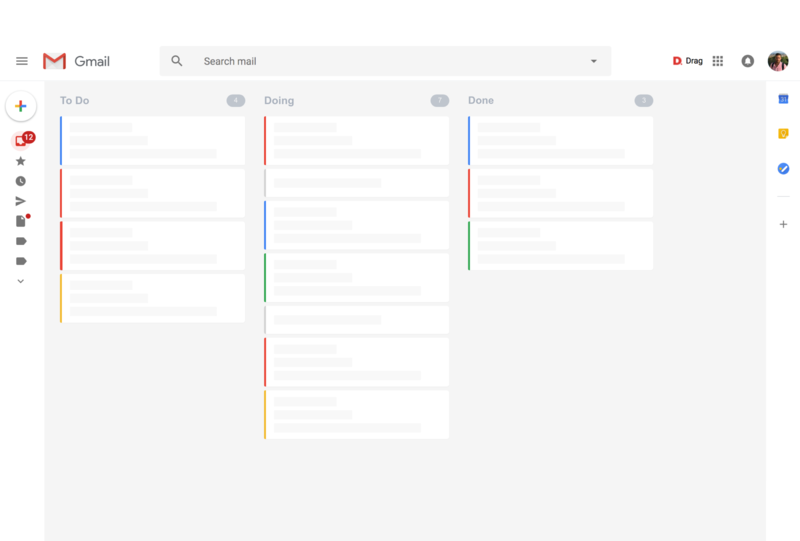 You can turn Gmail into your own personal workspace. Stop using lots of tools. Keep things simple – stay in Gmail.